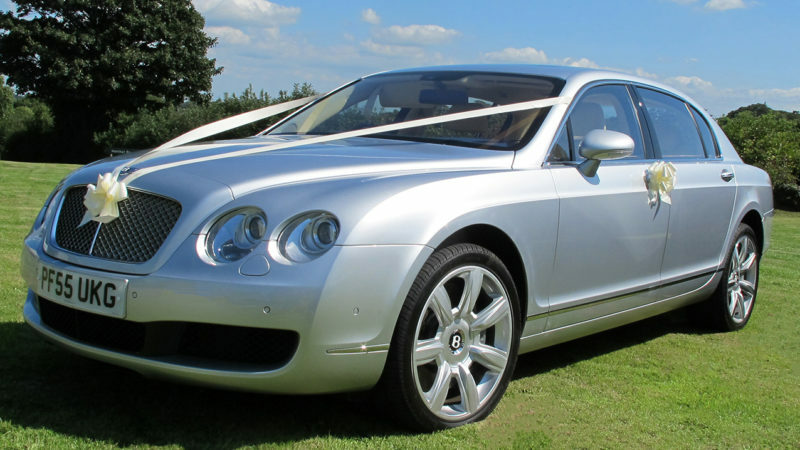 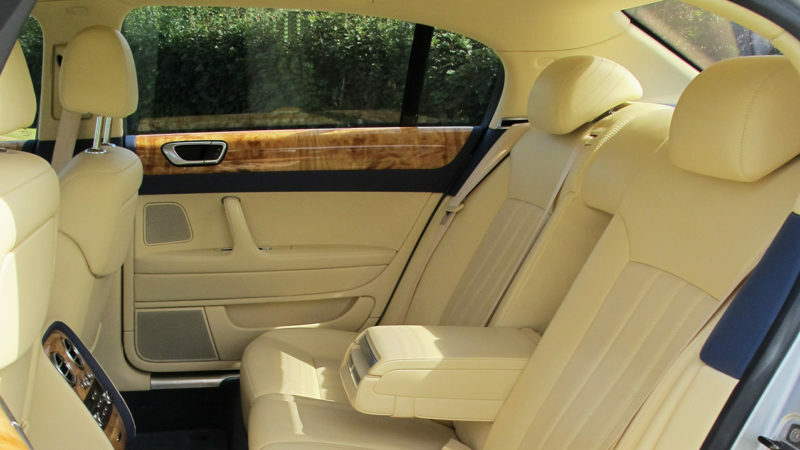 You would not expect a large, heavy saloon to match the acceleration of a sports car, but the super luxury Bentley Continental Flying Spur is one of the fastest production car in the world, thanks to its twin-turbocharged 6 litre W12 engine. 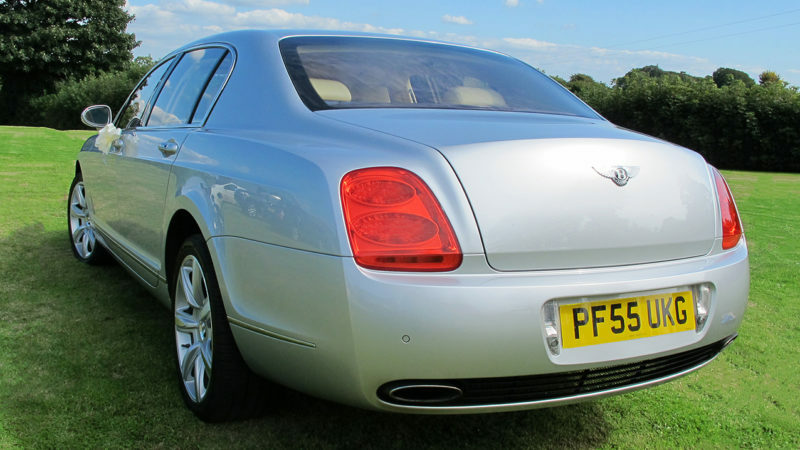 The 0-60mph dash isn’t normally relevant to cars like this, but worth mentioning when it’s just 4.9 seconds. 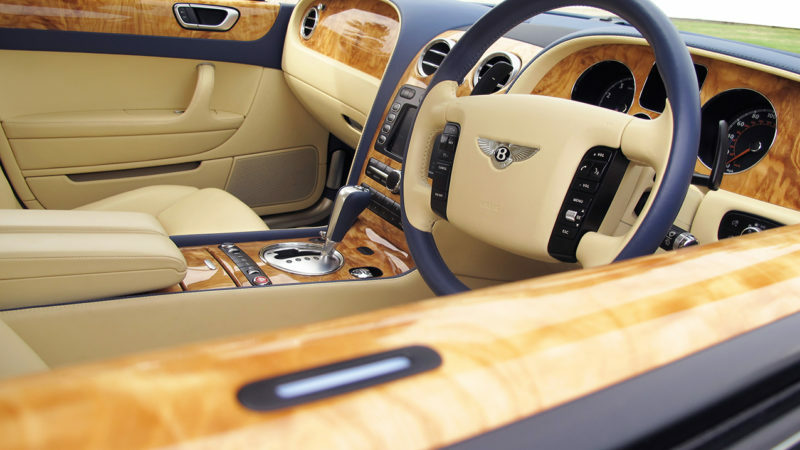 The ride is ultra smooth and effortless due to its slick eight-speed automatic gearbox. 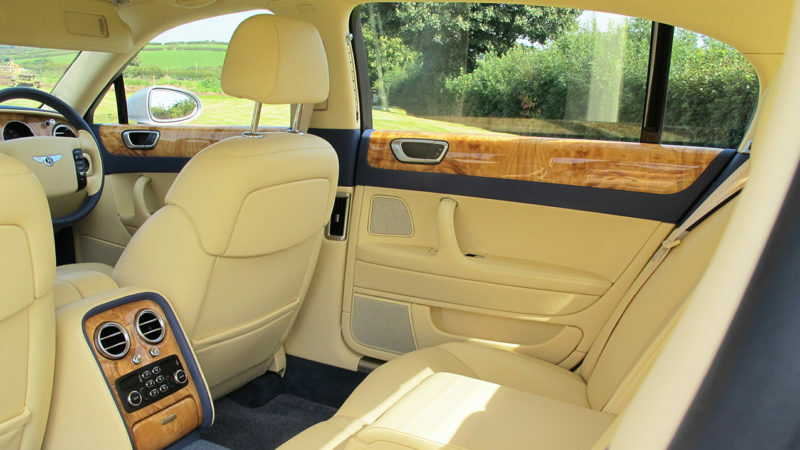 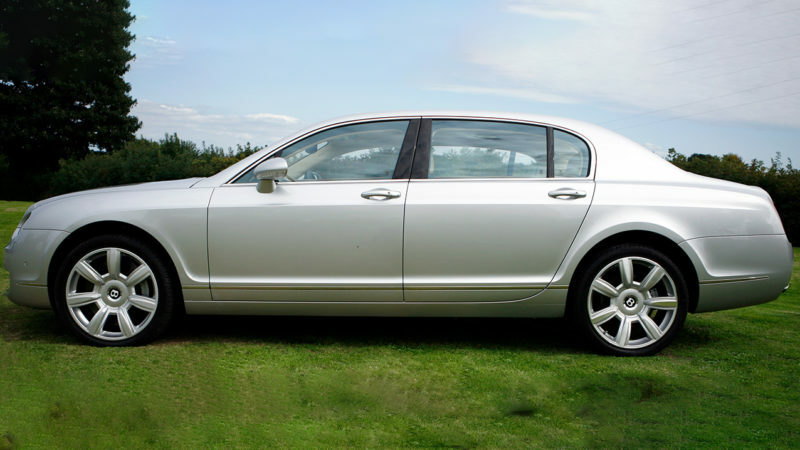 Based in Devon this Flying Spur has a luxurious interior in Cream leather with a wealth of polished Walnut veneers to the dashboard and door tops. 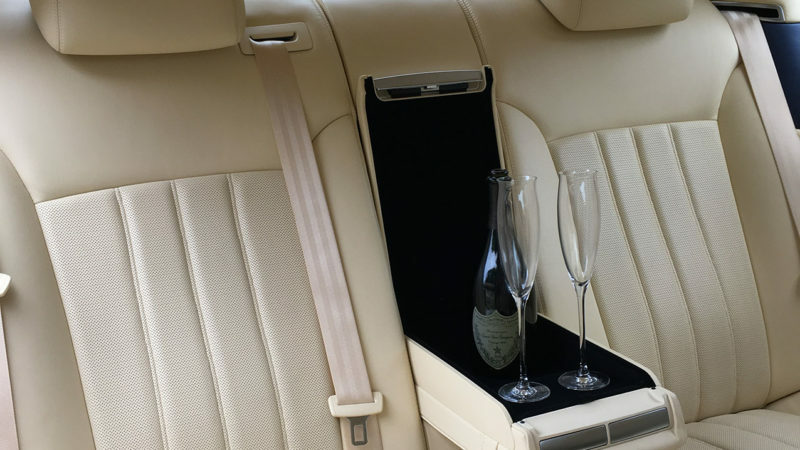 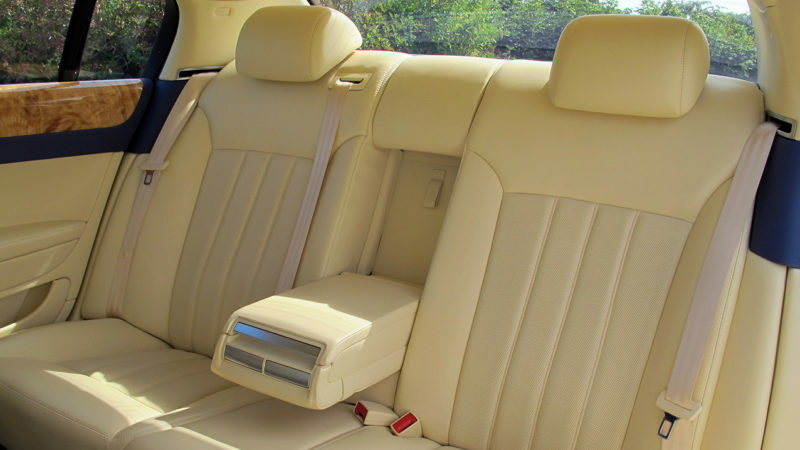 This car has everything you would expect to find in one of the worlds most luxurious cars, from leather door panels to the additional legroom provided as a Long Wheelbase vehicle. 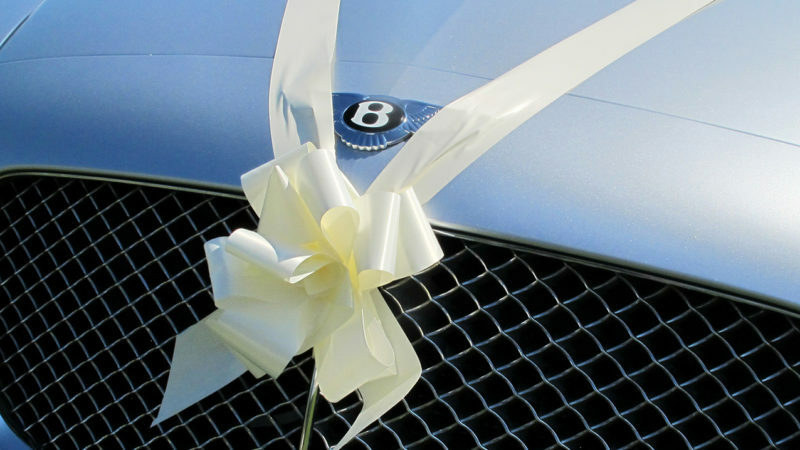 In one of the traditional wedding colours of Silver what Bride could resist this British icon !